Golf is an incredibly popular sport, so it's no surprise that there are hundreds of resorts around the world that specifically cater to golfers. The best golf resorts in the world combine a beautiful setting and masterfully-designed golf courses with luxurious accommodations, great restaurants, and engaging activities. 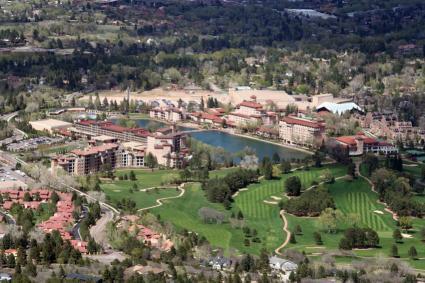 Founded in 1918, The Broadmoor is a golf resort and luxury hotel located in Colorado Springs, Colorado. Guests can enjoy stunning mountain views and a wide variety of specialty tours, activities, and programs. The resort has maintained its Forbes Travel Guide Five-Star rating since 1960 and its AAA Five-Diamond rating since 1976. It was also named the top-rated course in Golf Magazine's Premier Golf Resorts for 2014-2015. The Broadmoor also features multiple onsite restaurants, offering everything from casual pub fare to fine dining options, including the elegant Penrose Room - Colorado's only AAA Five-Diamond and Forbes Travel Guide Five-Star restaurant. 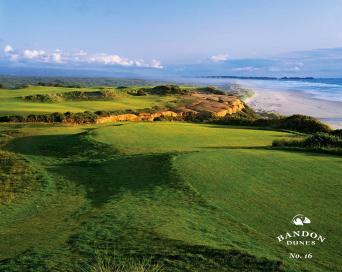 Located in Bandon, Oregon, Bandon Dunes is a prestigious golf resort that seeks to capture the spirit of Scotland's famous ancient links. The resort appears on numerous 'best of' and 'top 100; lists, including the list at Golf Advisor. It was also named to the number two spot in the Golf Magazine list of Premier Golf Resorts for 2014-2015. All of the courses are skillfully designed to complement the natural surroundings, making it easy for guests to enjoy the beautiful coastal views and grassy dunes while lining up their next shot. The resort also includes a number of lodging options - offering single accommodations to four-bedroom cottages, six on-site restaurants, exercise and locker rooms, and a hot tub and sauna. Located in Nova Scotia, Canada, in the scenic town of Inverness, Cabot Links is a picturesque golf resort that's generating considerable buzz in the golfing community. Opened in 2012, Cabot Links was included in Golf Digest's World's 100 Greatest Courses for 2013/2014 as well as for 2015 and 2016, despite being a relative newcomer to the golf resort scene. The golf course, which touts itself as Canada's only authentic links, is set in a rugged, oceanfront landscape, with each of the course's 18 holes boasting breathtaking views of the Cape Breton coastline; the course also features five holes which play directly adjacent to the beach. The luxurious, 48-room Cabot Links Lodge features a stunning design by award-winning Nova Scotia architect Susan Fitzgerald and interior designer Alexandra Angle, and includes local materials, such as cedar and heavy timber. Award-winning chefs John Haines and Tracy Wallace serve up fresh, locally-sourced, and seasonal fare at Cabot Link's Panorama Restaurant and The Cabot Public House; guests can also find a full selection of wines and whiskies at the fully-stocked Cabot Bar. Sotogrande is a large, privately-owned residential estate development in Andalucia, Spain that has five and a half challenging golf courses. 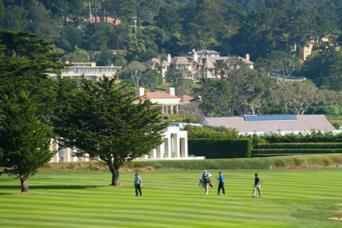 The estate has been recognized as one of the world's 10 best golf resorts by CNN. The estate boasts two courses designed by renowned golf architect, Robert Trent Jones: Valderrama, considered one of the most popular courses in Europe, and the Real Club de Golf Sotogrande, Trent Jones' first European course. 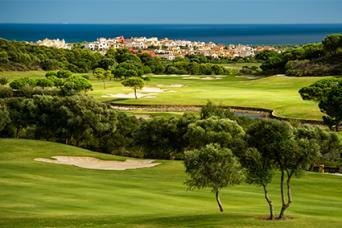 Sotogrande also includes the La Canada course, co-designed by Trent Jones and former Ryder Cup player Dave Thomas, as well as the La Reserva course and the courses at the Almenara Golf Resort. Several stellar, five-star hotels serve the development, including the Almenara Hotel, which features luxurious rooms and suites with stylish architectural details. Pebble Beach Resorts is a world-class golf resort situated on 5,300 acres of beautiful California coastline between the cities of Carmel-by-the-Sea and Monterey. 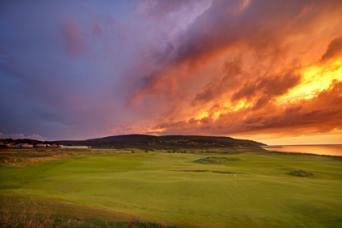 The ever-popular resort was included in Golf Digest's America's 100 Greatest Public Courses for 2013 - 2014. The courses have hosted some of the world's best golfers, including Jack Nicklaus, Tiger Woods, and Phil Mickelson. Pebble Beach Resorts also features AAA Four-Diamond accommodations, 14 restaurant and lounges, a large selection of unique retail shops, and an equestrian center, tennis club, golf academy, and fitness club. Guests can also take advantage of the resort's award-winning spa, The Spa at Pebble Beach. 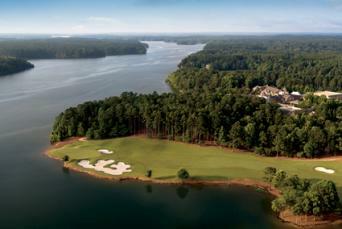 The Ritz-Carlton Lodge, Reynolds Plantation is a luxury golf resort in Lake Oconee, Georgia that invites visitors to kick back and relax in the state's beautiful Lake Country. The resort features five championship golf courses and a world-class spa, as well as elegant hotel accommodations, seven on-site restaurants, and a fitness center. In 2012, Condé Nast Traveler included the resort in its list of the Top 121 Golf Resorts in the World. The K Club Country House Resort is an elegant hotel and resort in County Kildare, Ireland. CNN Traveler recognized The K Club on its list of the world's 10 best golf resorts. The K Club has not one, but two, golf courses designed by the legendary golfer and golf course architect, Arnold Palmer. The Smurfit Course is an inland links with added water hazards, while the Palmer Ryder Cup Course is a parkland course with mature trees lining the fairway. Built in 1832, The K Club - also known as The Kildare Hotel, Spa and Country Club -- features luxurious rooms and suites, and receives consistent praise from guests and resort reviewers alike. Nestled on 2,000 picturesque acres in Almancil, Portugal's Ria Formosa Natural Park, the Quinta do Lago Resort features breathtaking coastal views, along with three championship golf courses. Golf Today calls the Quinta do Lago Resort "golfing heaven on Earth." In addition to the resort's three championship courses, the Quinta do Lago Resort also includes the TaylorMade Custom Fitting Centre and the Paul McGinley Academy, which boasts a state-of-the-art driving range. The academy offers a wide variety of coaching services, including private lessons. Quinta do Lago has numerous options for accommodations, whether guests are looking to rent a comfortable little apartment for a week-long getaway or bask in the lap of luxury at one of the area's fine hotels. Shopping and dining choices abound, and guests can also kick back and relax while enjoying the scenery and wildlife. 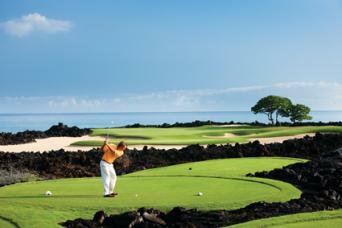 Nestled on the Kona-Kohala Coast of Hawaii's Big Island, the Four Seasons Resort Hualalai at Historic Ka'upulehu is a gorgeous oceanfront resort that's home to the Jack Nicklaus signature Hualalai Golf Course, which winds through 7,100 yards of lush oasis and green fairways surrounded by black lava rock. The lavish resort won a Golf Magazine Platinum Award in 2014. Four Seasons Resort Hualalai's 243 exquisite guest rooms and suites are housed in charming, two-story bungalows that feature nature-inspired décor and a large collection of native Hawaiian art. USA Today named the hotel the best luxury hotel in the world in 2013. Guests can choose from three restaurants and two ocean-side lounges with menus that change seasonally, including the 'ULU Ocean Grill, which proudly embraces a plant-to-plate philosophy. The resort's Hualalai Spa offers fully personalized spa treatments, such as massages, facials, body treatments, and salon services. Situated near the 17th Hole of the Old Course at St. Andrews, The Old Course Hotel Golf Resort and Spa provides golfing enthusiasts with easy access to some of the area's - not to mention the world's - best golf courses, including the hotel's own Duke's Course, Fairmont St. Andrews' two courses, and the Kyle Phillips-designed Kingsbarns Golf Links. The resort has won numerous awards and accolades through the years, and had the honor of being named one of the world's best hotels by Travel + Leisure Magazine in 2015. 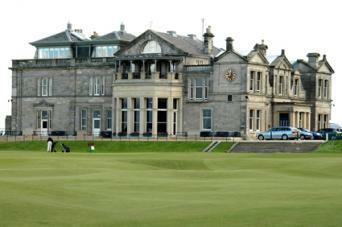 The prestigious, five-star hotel features 144 rooms, including 35 luxurious suites, and boasts spectacular views of the Old Course and the Scottish coastline. The Kohler Waters Spa at the Old Course Hotel offers a wide variety of treatments to help guests relax and unwind. New golf course resorts open every year and with well-established resorts firmly ensconced in the minds of golfers, resort developers are being forced to raise the bar to ensure that their resort is a success. Guests can expect to see more innovative and challenging courses, as well as amenities - such as kids' camps and activities - that make golf resorts suitable for the whole family.